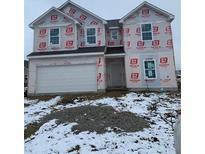 Below you can view all the homes for sale in the Anson subdivision located in Whitestown Indiana. Listings in Anson are updated daily from data we receive from the Indianapolis multiple listing service. To learn more about any of these homes or to receive custom notifications when a new property is listed for sale in Anson, give us a call at 317-434-3975. Hardwood floors on main, carpet replaced, C-Tile in bar area, laundry room up, home is pet free, light & bright - park area just out of the front door, you'Lower Level LOVE IT. 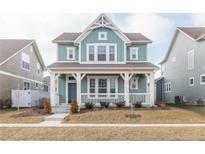 MLS#21632060. F.C. Tucker Company. Location is designed for convenience with shopping, eating & interstate seconds away! 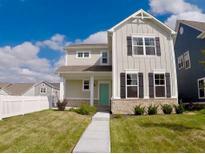 MLS#21626644. F.C. Tucker Company. Deep Kitchen Sink – Upgraded Light Fixtures with Additional Lights & Fans – Included Stainless Steel Appliances: Electric Range, Microwave & Dishwasher – Upgraded Flooring throughout the Home MLS#21622943. Ridgeline Realty, LLC. Deep Kitchen Sink – Upgraded Light Fixtures with Additional Lights & Fans – Included Stainless Steel Appliances: Electric Range, Range Hood & Dishwasher – Upgraded Flooring throughout the Home MLS#21619080. Ridgeline Realty, LLC.